The foundation of quality feedback starts with a clean, up-to-date, and accurate list of patient cases exported from your data system. Getting data from your EHR, EMR, Billing, or Practice Management Software is an essential component of having a truly hands-off delivery process. SurveyVitals works with a number of data partners to best fit your needs. See the list below to learn more about our partners and discover the solution that works best for your organization. Visit Documentation & Security for more information about data requirements and the onboarding process. Anesthesia billing and practice management. Medical billing and revenue cycle management. EHR and medical billing software. EHR, revenue cycle management, population health management and more. Population health and revenue cycle management. EHR software, revenue cycle and practice management. EHR software, population health and revenue cycle management and more. EHR software, revenue cycle management. Revenue cycle and practice management. Revenue cycle and practice management software. 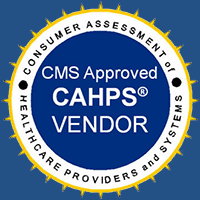 EHR software, practice management and more. Don’t see your data partner listed? Not to worry, SurveyVitals can work with your software of billing company to obtain the required data to begin surveying patients on your behalf. Contact us at info@surveyvitals.com with questions or for more information, request a demo today.